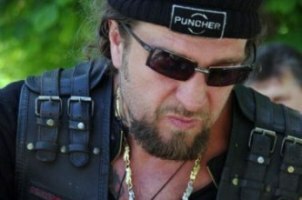 Lenin Jovanovski – an icon of bikers’ way of life with unique appearance and name, founder and President of Night Wolves Motorcycle Club in Macedonia, President of “Sloboda Prevoz”, and recently elected President of Motorcycling Federation of Macedonia. Encyclopedia on two wheels. Lenin claims to have travelled over 150.000 km which equals two and a half lengths of the Equator and currently rides a Honda Valkyrie. 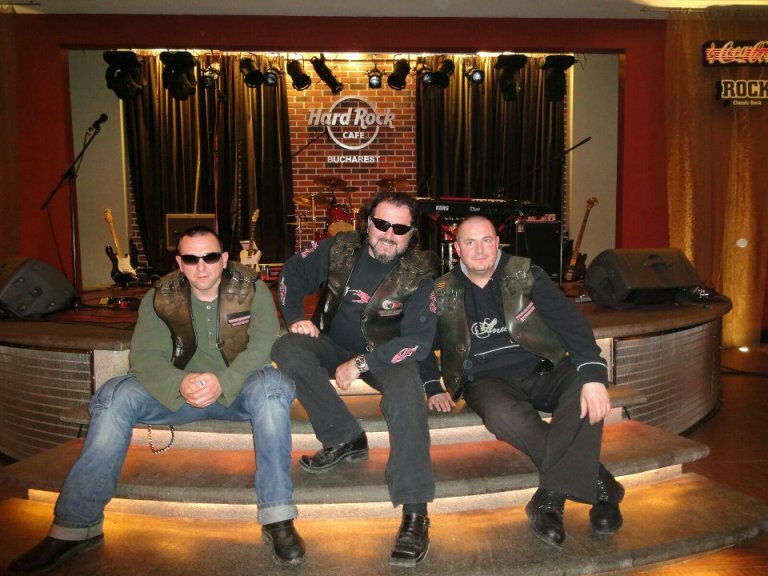 You organized a bikers’ tour from Strumica to Serez. 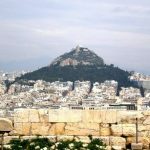 Why did you choose Greece? This was part of our mutual program with the Greeks. They are project owners of an EU program called Cross Border Cooperation. Our part is called Cross Border Wheels, and it is in the third stage of the practical part of the project. 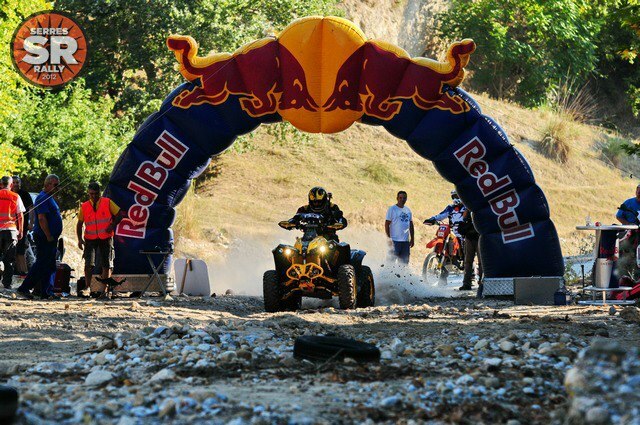 In the first stage we organized a motocross race, in Serez they organized a motocross rally and in the third part we decided to have a tour from Strumica to Serez during which bikers from Macedonia and Greece would ride together in the border region and visit several sights on their way. This created a pleasant atmosphere between us, without any comments or misunderstandings regarding the current name issue. In all our project promotions and presentations I have repeatedly stated that our past and history should not divide us but bring us closer together. Nations have been mixing together here for centuries, so many important historical events have happened in this region, and these past events should be regarded as our mutual history that primarily belongs to us but it is also a heritage that belongs to the whole mankind. I believe that the name issue is a misunderstanding blown out of proportion, and the question whether Alexander is ours or yours – I think it is a waste of time. This is the region, these are the people, we live here and we should find a mutual connection, celebrate things which are useful for both nations. What can you tell us about your colleagues from Greece? 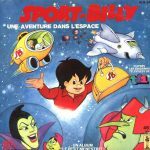 They are more of a sports association. Night Wolves have a different concept. The Federation includes different types of clubs, touring, sports clubs, we have racing clubs from different classes, cross or high speed motorcycles. 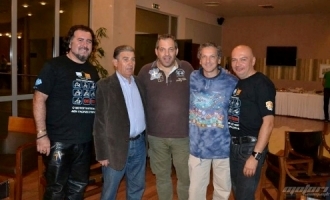 Our Greek partners have a motorcycle club and are closely linked to the racing circuit and the Municipality of Serez. That is where our cooperation was initiated. The project was designed by them, but I am convinced that after it is finished we will continue to see each other to summarize what we have accomplished. All the people involved in the project believe that this will not end here and we have already submitted an application for a new project. If it is approved we will continue our cooperation, if it is not approved, the friendships and closeness that was created in this short period of time will continue to develop in the future. Was there a speed and strength trial between you? No, this event was not a competition. Competitors show their speed and skills on the circuit. This tour was a fun tour that was supposed to send a different message. What is the structure of Night Wolves Motorcycle Club? 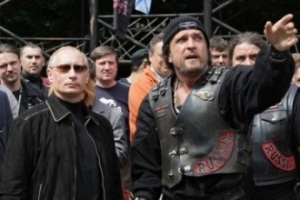 Night Wolves was founded in Moscow 23 years ago. 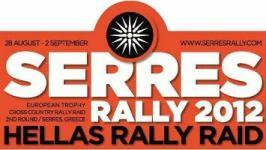 It is an international club with representatives in about ten countries. 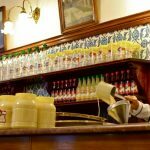 In the Balkans it was first established in Macedonia, then in Bulgaria, Serbia and Romania. 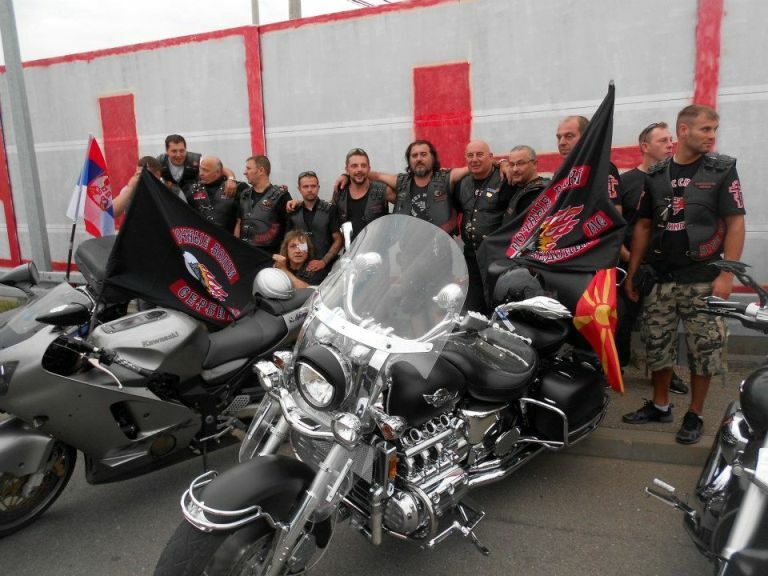 Although we have fan clubs in Bosnia and Herzegovina, Republic of Srpska, Kosovo and Metohija and Montenegro, we are also negotiating with other clubs who know more about the Night Wolves and would like to join us. They need to go through a certain procedure, an established hierarchy with rules of its own. How can anyone become a member of the Night Wolves? What conditions are there? 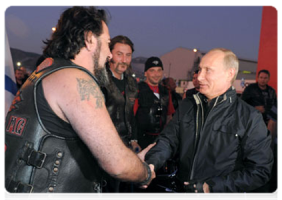 In Night Wolves Motorcycle Club we don’t say who can be a member, we say who cannot be a member. 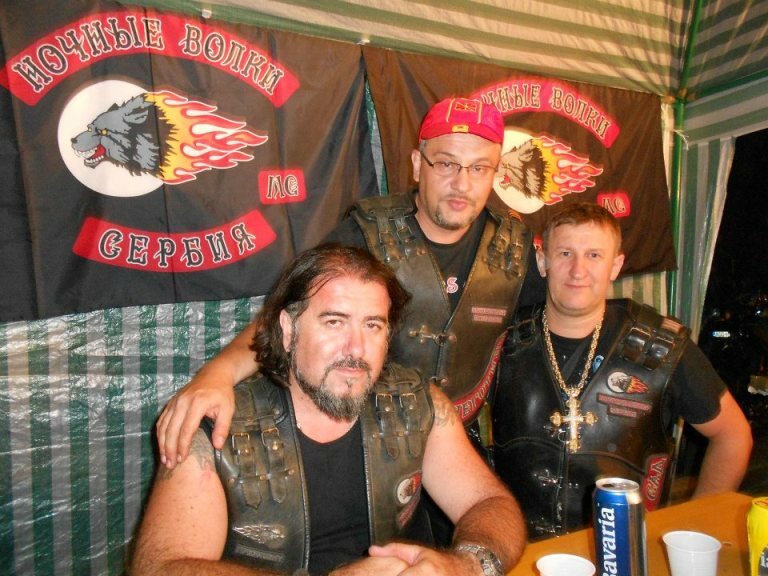 Night Wolves do not accept chronic alcoholics, drug addicts, pedophiles, drug dealers, criminals, smugglers. All those who have negative impact on society with their activities, characteristics and behavior cannot become members of the club. Those who do not posses such characteristics should only have a motorcycle which is the only prerequisite for a membership in a motorcycle club, and of course a desire to become Night Wolves. We don’t invite people to our club, we don’t advertise membership. This means that a potential member should come to us and ask for membership. Then there is a period of entering the club in the first level as a supporter which lasts about one year before receiving the club marks. During this period we get to know each other and the candidate has enough time to see whether he really is in the company of men as he thought he would be, and enough time to be accepted by the other members. If everything goes well then there is a period of so called hanging around. In these two years he receives the club marks on the jacket and with his engagement, dedication and respect moves forward to the next level which is called prospect. It is a period of another three years during which he is fully engaged in the club, shows respect for his friends there and finally gets a recommendation to progress to the final level of being proclaimed full member and is granted the right to wear the emblem on his back. Still, this is not decided for in Macedonia but in Moscow by the council of full members and the status is given by the international President, the Surgeon. He gives it personally at a special ceremony in Moscow. This means that every man proposed to be full member by his brothers can enter the brotherhood in this way. The Surgeon. The President of Night Wolves is a real surgeon? That is his nickname that he got according to his profession, but he doesn’t work in medicine now. He is fully dedicated to the club and its activities. His real name is Alexander but the nickname is more popular. Do you have a nickname? I doubt it that a man with such an impressive name would need a nickname. I think that a man with such a name does not need a nickname, and regarding my way of life and behavior I suppose that I don’t deserve a better name. Some of my Night Wolves brothers call me “Daddy”, some call me “Commandante” and of course President as my official title, but most often they call me by my name. 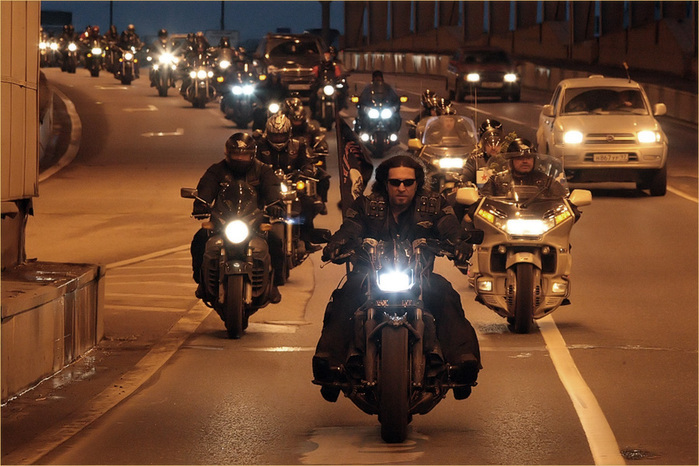 Films present bikers as tough guys, fighting the law, fighting with other guys. How about you? Do you do the same? 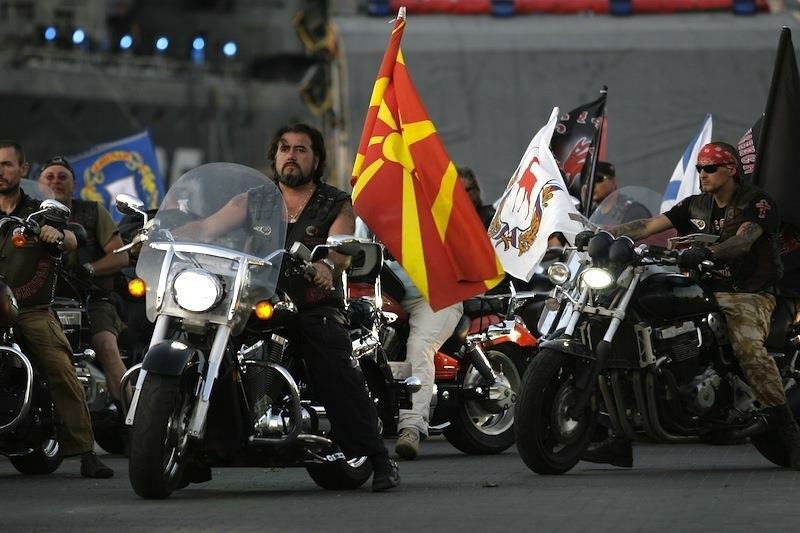 That image is based on activities and the way functioning of motorcycle gangs in some countries. We are completely the opposite of that, although we may look the same and have similar rules in our hierarchy. We can only confront such gangs who use their motorbikes as a means of criminal activity and we would do anything to stop them from establishing themselves here. We would certainly oppose their influence and anyone who tries to disturb our position and the right to do what we believe is the right thing to do. We are far from using the club to engage in any illegal activities. As I said previously, people with a criminal record cannot become our members. Some might object to the way we act and function, but we are not interested in their opinions. We won’t allow anyone to judge us or our philosophy of life. How often do you ride? Have you set any standards? You met Russian President Putin. 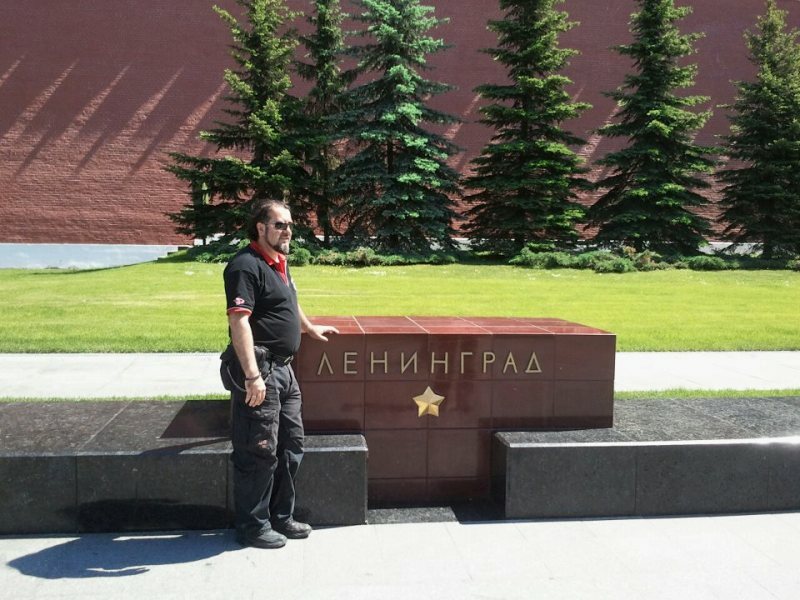 It was an impressive meeting between Lenin and Putin and everybody here was really proud of it. I am very proud of that meeting, too. I cannot be credited alone for that. 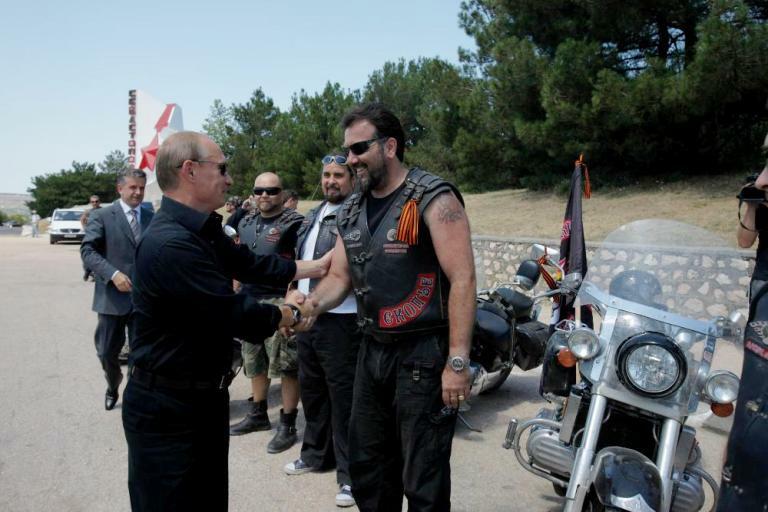 I must give credit to the whole club, the Night wolves, to our President in Moscow who is a close friend of President Putin and who gave us the task of organizing this meeting in Belgrade. 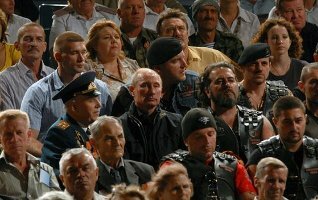 Since I am coordinator and senior member, I went to Belgrade to welcome President Putin. I chose several members from Macedonia and Serbia for the task. It was a very warm and sincere meeting, very interesting. And there were two more meetings. Our President had trusted me to come close to President Putin. 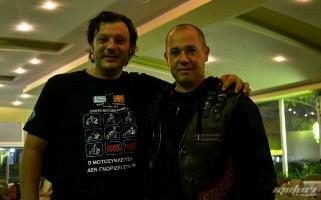 We met in Sevastopol and Novorusisk at our motorbike show where he came to watch the spectacular performance we gave. We rode for a while, sat next to each other, and talked briefly about common issues without mentioning politics. Still, I believe I presented my country a bit closer to him and I believe later it helped to create closer and warmer relationship between our countries. 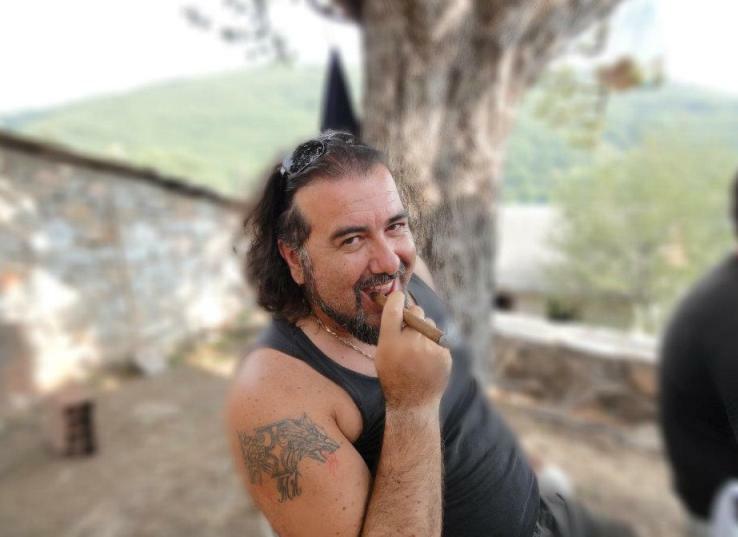 We are people who can exchange opinions and give a piece of our history and he is an all-round person who knows a lot about Macedonia, about its past and present. Many people have asked me if this communication could be used to make business connections, but I think it is ridiculous and unnecessary to be thinking about such things when it comes to a man of such high stature as Putin. I think he is currently the most powerful man on the planet. If there is anyone who can benefit from this it is the state in general. 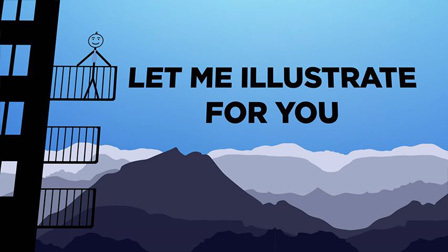 I think it isn’t fair to be expecting business benefits or indulging personal ambition at this moment and that would only mean going down a level. What is Putin really like? He seemed strict, a man with an ice look in his eyes, but only until I met him in person. I have had a perfectly normal communication with him from the beginning, from our first meeting. You can see him smiling in many photographs. When you talk to him he doesn’t leave an impression of a man with such political power, knowledge and skill that he can use to intimidate people around him. We have witnessed so many cases when people change gestures, attitudes and relationships with other people as soon as they get to a higher position in society, but not President Putin. He can talk to anyone, and if I may say, he stoops down to the level of his company so that they can participate in the conversation. He does not have an arrogant attitude that we are so accustomed to seeing in politicians who are actually insignificant compared to him. And what is Lenin really like? (laughs) Lenin is an ordinary man from Debar Maalo. My family is from Skopje and I was born and raised here. I have one son and three daughters. I am a man who is professionally engaged in transport of passengers. I have two university degrees, one in Geotechnics from the Faculty of Civil Engineering and in Roads and Railways Construction from the same Faculty. I have to work to earn money so that I can ride my motorcycle. I do not have any financial benefit from motorcycling and I love to spend my money on it. I try to provide financial support for the club and I feel the happiest when I manage to do so. I find myself there, as a person and as a man who has created one big family.